BCD’s Middle School students develop important study habits and practice critical learning skills. It is our goal to develop independent learners, who take the initiative with tasks and work responsibly and enjoy a sense of accomplishment. Class discussions include a variety of topics such as respect, responsibility, courage, value-systems, decision-making, tolerance, excellence, success, manners, and service. Students change classrooms and buildings throughout the day for classes with teachers specialized in their subject. After spending PK-Grade 3 becoming familiar with both French and Spanish languages and cultures, students in Grade 4 choose one language on which to focus. French and Spanish classes conducted in the target language. Latin added in sixth grade as the second required language. English classes stress classics and writing skills, with extensive reading from a variety of unabridged classic books and frequent writing assignments. 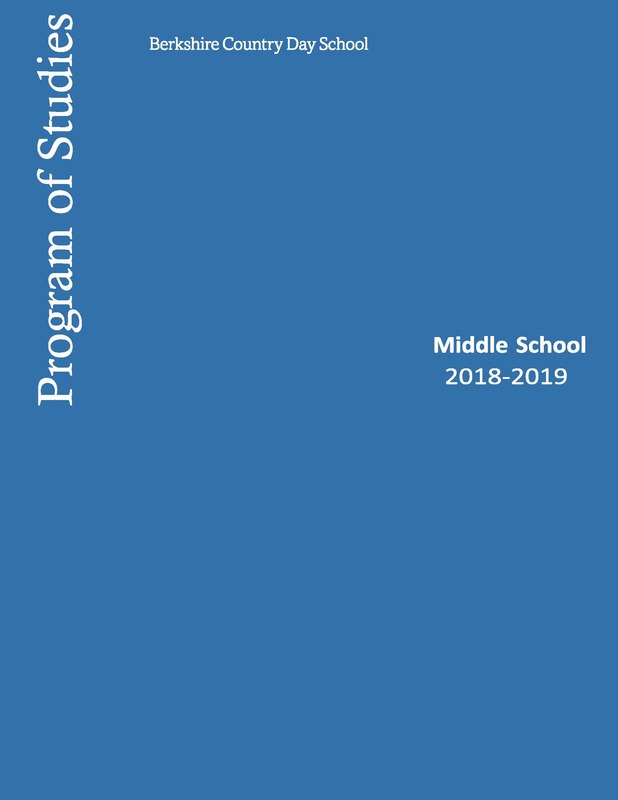 Social Studies program focuses on exploration and discovery, ancient cultures, U.S. History, and global, political, and cultural geography and history. Rich and extensive Arts program – visual, woodworking, ceramics, graphic arts, chorus, instrumental bands, and theater. Laboratory-based science program, emphasizes scientific methodology, including conducting experiments, taking notes, and documenting the scientific process. Math curriculum focuses on numerical, algebraic, and geometric foundations, offering a solid preparation for algebra in Grades 7-8. Extended, curriculum-based field trips begin in Grade 5. Team sports begin in Grade 4 and include soccer, basketball, alpine skiing, cross-country skiing, and lacrosse. Theater workshops offered in Grades 4-6. Students are assigned advisors, who guide and monitor their advisees’ academic and personal progress.